White Time is mind time, body time, soul time, heart time. White Time is other worlds, other dimensions, other states of being. White Time is out of time. 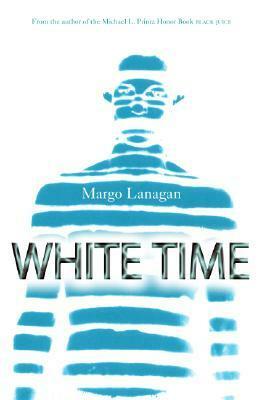 In this transcendent collection of short stories, Margo Lanagan, author of the award-winning story collection "Black Juice," deftly navigates a new set of worlds in which the boundaries between reality and possibility are paper-thin . . . and sometimes disappear altogether. Anthologies are fun to read because they feature a wide variety of authors and styles. With their hit-or-miss qualities, however, they can also end up being disappointing. If I run into a real dud of a story, do I set the book aside and pick up something else or skip the story and continue reading? I have several partially read anthologies just because that dud was stuck somewhere in the middle. Short stories by one author are a little different. At least I can expect more consistency in quality. With Margo Lanagan, especially, I know I won’t get a dud. This is the third collection of stories I’ve read by her and all three times I’ve read the stories consecutively with hardly a break in between. Her writing is exquisite, rich and lovely, and the stories imaginative, moving and unsettling. I hope she plans to write forever!